This guide will help you navigate a range of chess resources in the Library. With over 13000 volumes, the MV Anderson Chess Collection is the largest chess collection in the Southern Hemisphere. Our chess resources include books on strategy, chess in film and art, novels featuring chess, the history of chess and overviews of openings such as the Sicilian Dragon, Complete Hedgehog and more. The collection is recognised by the Oxford Companion to Chess (1992) as one of the three largest public chess collections in the world, the other two being the J.G. White Collection in the Cleveland Public Library and the Van der Linde-Niemeijer Collection in the National Library of the Netherlands. 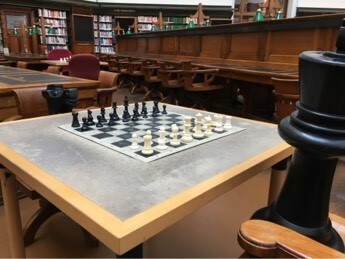 The Chess Room at the State Library was formerly located on the mezzanine level above the Arts Reading Room, however this room closed on 7 February 2017 as part of the Library's Vision 2020 redevelopment project. Chess game sets and open access books from the Chess Collection are available in the La Trobe Reading Room (Dome Level 3). 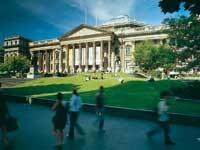 The chess collection will move to its permanent home in Ian Potter Queen's Hall when it reopens in 2019. The Library has two large chess outdoor chess sets that are set up on decal boards outside the library on the forecourt from 10am to 5pm. Chess on the forecourt was established in Summer 2014 to provide our users with an alternative space, and to engage new players. The John G. White Chess Collection is the largest chess collection in the world. The collection includes over 32,000 titles of both historical and modern chess literature. The Chess and Draughts Collection at the Royal Library includes over 30,000 titles. 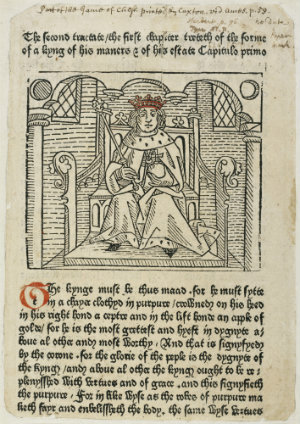 The collection includes manuscripts, rare books and recent publications. The Chess Room is temporarily located the La Trobe Reading Room (Dome Level 3) during the Library redevelopment. If you locate books on our catalogue from the Chess Collection and see a message that reads Available Find on shelf in La Trobe Reading Room - chess books, then you can access them in the La Trobe Reading Room (Dome Level 3) at the displayed call number. If the catalogue record asks you to phone 03 8664 7002 for delivery, then the request needs to be placed by Library staff. Staff can place orders for the next available delivery time. Rare books will be delivered to the Heritage Collections Reading Room and can only be read in that room.